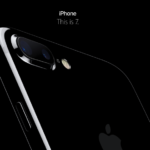 Apple is apparently preparing to go public with its artificial intelligence work, according to anonymous sources speaking with Quartz. The sources were attending the invite-only, December 6 lunch at an industry AI conference where Apple’s head of machine learning, Russ Salakhutdinov, and other employees talked about the problems the company is trying to solve. It should not come as a surprise, but much like other companies exploring machine learning, Apple is working on problems such as “recognizing and processing images, predicting user behavior and events in the physical world, modeling language for use in personal assistants, and trying to understand how to deal with uncertainty when an algorithm can’t make a high-confidence decision”, reports Quartz. 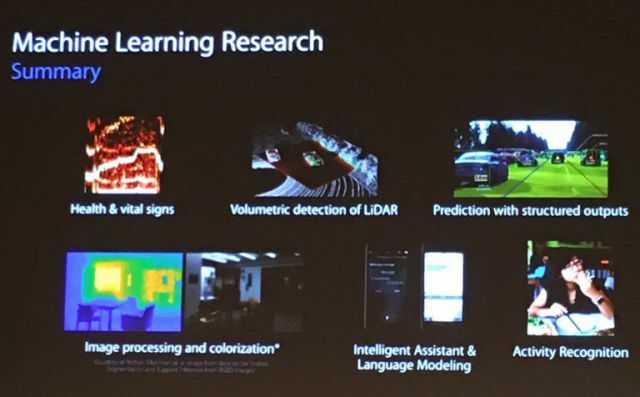 Qz obtained nine of the Apple presentation slides, revealing that the company is actively investigating “volumetric detection of LiDAR” and “prediction of structured outputs”. Both are important elements of building self-driving car technologies, but the sources say Apple employees didn’t mention anything about car ambitions. As detailed by Qz, yet another slide focused on Apple’s ability to build neural networks that are 4.5 times smaller, twice as fast and as accurate as the originals. In one slide, Apple claims that its image recognition algorithm is able to process twice as many photos per second as Google’s – 3,000 images per second versus 1,500 – using only a third of the graphics processing units. You can read the full Quartz report here.